Inspirational and positive vibes only! 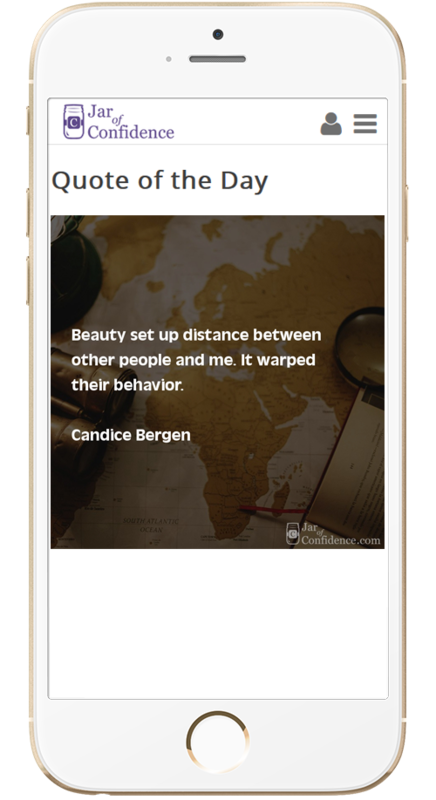 Jar of Confidence is the app that will show you inspirational and positive quote to bright up your day. Just open the app and a quote will be shown. Premium only: you can register and set up your language. Jar of Confidence is now available in english and italian but we will be ready with many other languages soon. We have more than 10.000 quotes and hundreds of authors actually and we are constantly improving it. Because we all deserve a moment of peace throughout the day. There are actually available english and italian languages, we will add some new language soon. Get your quote any time you'll like it! With the premium version you can get any quote you'll ilke with no limitation. Available for IOS and Android platform.